Philips Lighting announced on March 23 it had signed a memorandum of understanding with China Mobile Research Institute, the research and development center of China Mobile, to explore the potential of cellular Internet of things technology for connected lighting for smart cities. Smart city, an urban development vision to integrate communication technology and Internet of things solutions in the management of a city’s assets, was a hot topic during China’s two sessions in early March. According to its statement, this technology can support more connections than current networks with lower power consumption, and is a likely candidate for high-quality wide area network connectivity for city applications, including connected street lighting. 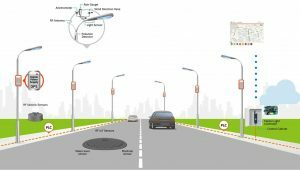 Eric Rondolat, CEO of Philips Lighting, noted that connected street lights have special sensors that can adjust lighting according to the environment, thus providing a more comfortable user experience. John Wang, CEO of Philips Lighting Greater Chin a who is in charge of the Chinese mainland, Taiwan, Hong Kong and Macao, also said that such lighting can help government management. 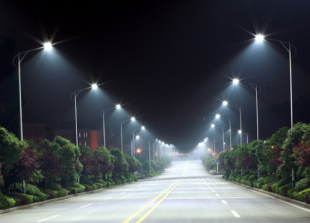 “For example, currently when certain street lamps are broken, it’s very hard for the urban management personnel to be aware of the situation, but when they are connected, it’s much easier to manage their operation status,” he said. Connected lighting saves energy by at least 50 percent.